QUESTION: Marty; You so casually mentioned that Britain closed the share market during World War I and that such a risk exists in Europe. Can you elaborate on this at all? ANSWER: The entire period leading into World War I was a period of extreme socialism. This is when the world was enamored with Karl Marx. That lasted until the Russian Revolution in 1917 and the murder of the Czar and his family. 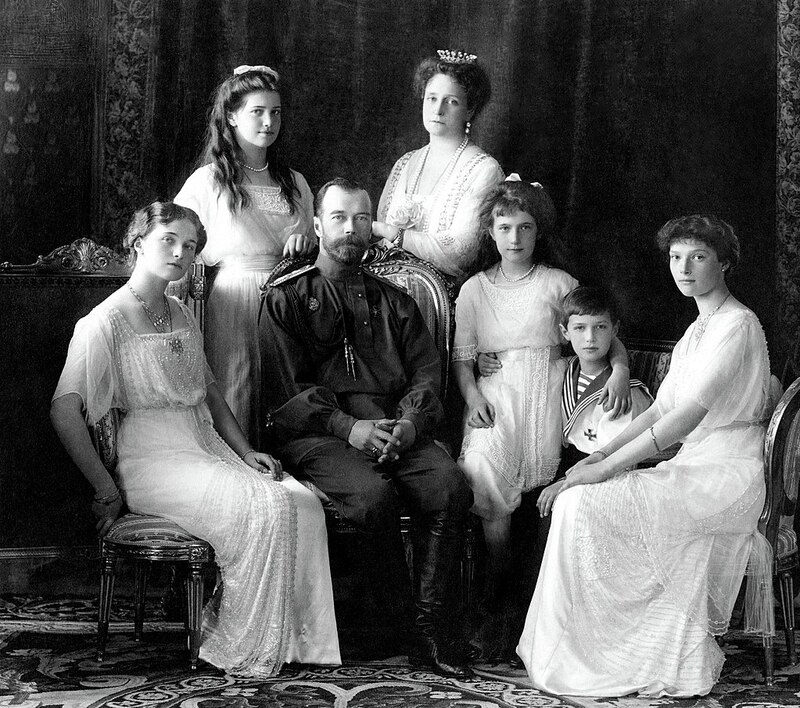 The Romanov family were shot, bayoneted and clubbed to death in Yekaterinburg on the night of 16-17 July 1918. This demonstrated the hatred that Karl Marx unleashed upon the entire world. Only then did people in the West begin to look at this Marxist rebellion as something serious rather than a fashionable liberal change of mind. Most people are ignorant about how the world economy functions no less its history. They assume that today this is a “Global Market” for the first time in history. That notion is completely wrong. Prior to World War I, the world economy was open and global. It was this openness of global financial markets prior to the war that led to the closure of stock markets. Europe will do the same so beware. It is important to understand what took place because history will REPEAT going forward in Europe. To the shock of most people, even back in 1914, currency flowed between countries with lightning speed thanks to the telegraph and international banking. Even during the Napoleonic wars, money moved, but it was slower in that physical metal and coin needed to be transported by ship or train from one country to another. By 1914, the Transatlantic cable stretched across the ocean connecting North America and Europe. This reduced the communication from 10 days to 17 hours with the first communication taking place on August 16th, 1858. By the Roaring ’20s Bull Market, stockbrokers were on ships so you could trade while traveling between New York and Europe. Therefore, arbitrage kept the currencies in check through the bond markets predicated upon CONFIDENCE. Because traders throughout the world could sell bonds and shares instantly, this is why the European governments shut down the markets. This was the check and balance based upon CONFIDENCE in their governments. On July 31st, 1914, the New York Stock Exchange closed its doors for the longest period in exchange history due to the political pressure for fear that European bonds would be sold there. The New York Stock Exchange remained closed until November 28th, 1914, when bonds began trading once again. 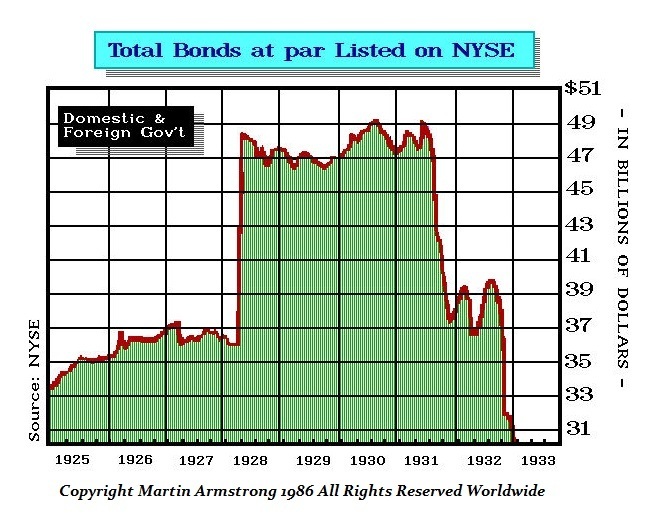 Here is a chart of the bonds listed on the NYSE that crashed during the Sovereign Debt Crisis of 1931. That was the end of the formal bond arbitrage. Europe feared massive selling and foreign investors would try to repatriate their money which would aid an enemy. Effectively, the free markets shut down and this was a political directive. In London at that time, individual trades were made on a daily basis, then carried until Settlement Day when trades were matched and crossed. Brokers would make up the surplus or deficit on their accounts by settling outstanding trades with cash. As long as there were no significant swings in stock or bond prices, brokers had sufficient capital to settle their accounts. 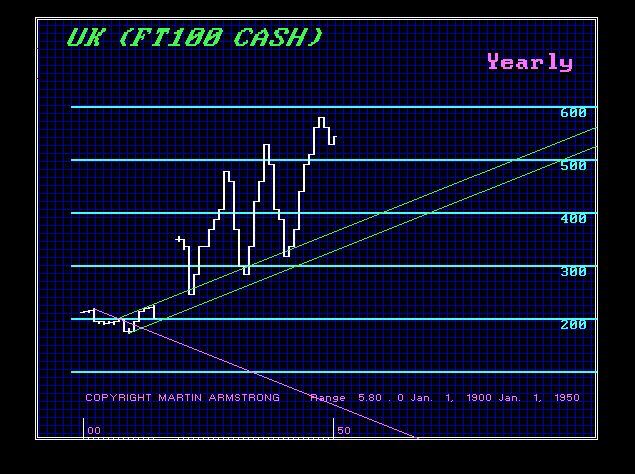 However, since traders relied on credit, large swings in prices could and would bankrupt many of the brokers, worsening the financial panic. This was one more concern that the brokers themselves had fearing volatility and thus supported the closures during World War I. Trading became a black market off exchange. We have the largest database ever constructed when it comes to the global economy. Research has been carried out with one simple rule – let’s see what happened. Instead of beginning with a predetermined theory, we approached the global financial history with a view to learning how it worked rather than trying to prove a point. Markets speak to us when we listen. They show the trend and are not arbitrary. We have all been connected globally for a very long time. Capital has moved around the world based on fear and opportunity from ancient times. At this year’s WEC. 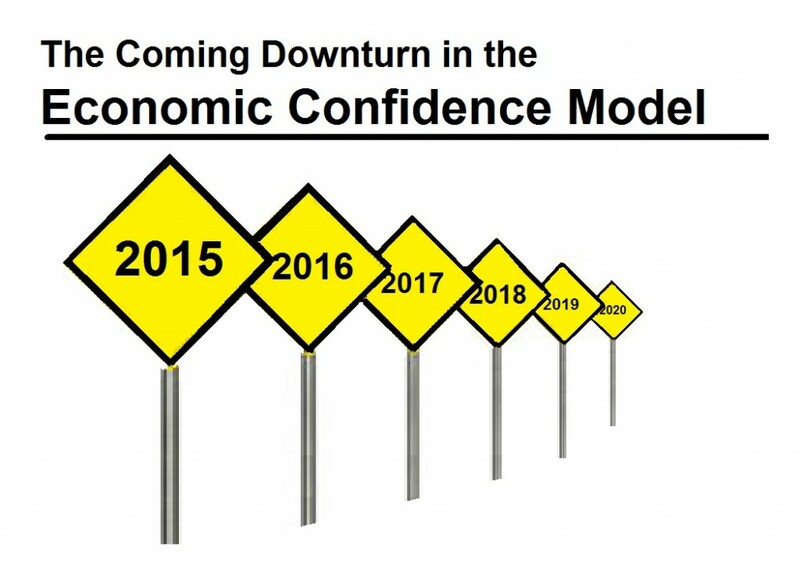 we will be also looking at how the markets speak to us and what are they saying this time about the years just ahead. 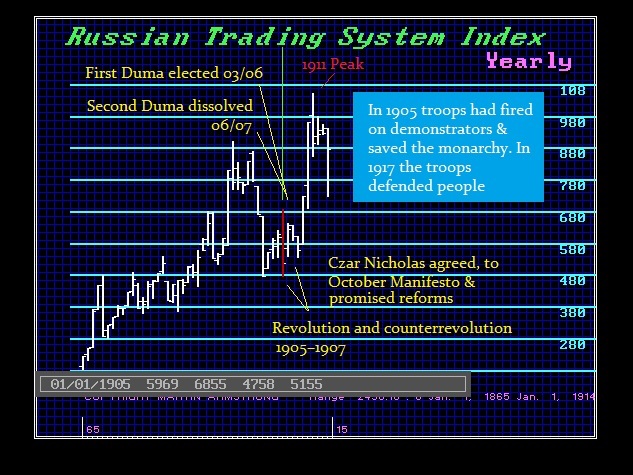 Here is a chart of the Russian share market where we have created an index to expose how capital functioned and behaved going into the Russia Revolution. There was a period of two years with compressed consolidation following the 1911 high in Russia just prior to the move with the second attempt at a Russian Revolution. The market always reveals what is to come. « War is Coming Because We Need It?